Midshipman William Nicholas Eden, was killed in action 31 May 1916 when H.M.S. Indefatigable was sunk during the Battle of Jutland. He was 16 years old. 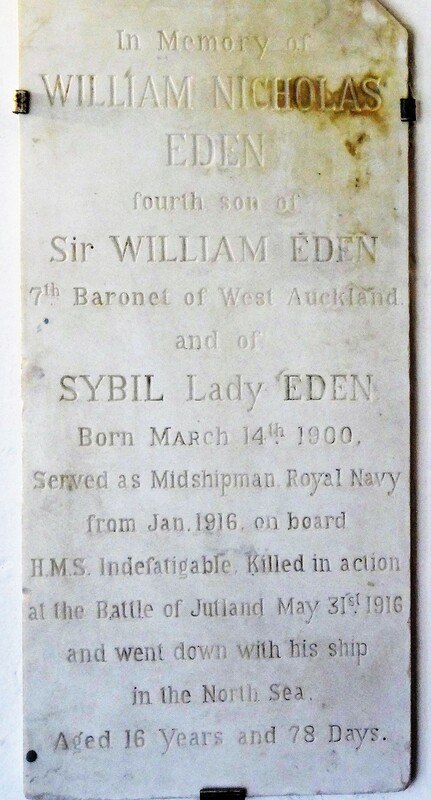 He is commemorated on the Plymouth Naval Memorial, the Kirk Merrington War Memorial and the Eden family memorials in the vestry of St. Helen’s Church, St. Helen’s Auckland. In 1891, Sir William and Lady Sybil lived at Windlestone Hall with 3 year-old Elfrida Marjorie, 2-year old John and Sir William’s brother-in-law Spencer Grey. They were supported by 18 servants at the Hall and another 3 gardeners living at Windlestone Cottage. About 1900, there was a financial matter to be dealt with and Sir William sent the entire family and entourage to Europe which possibly explains why I have not traced the family on the 1901 census other than Jack. By 1901, 12-year old Jack was a boarder at school at Walton, Suffolk, following which he attended Eton College and the Royal Military College, Sandhurst. 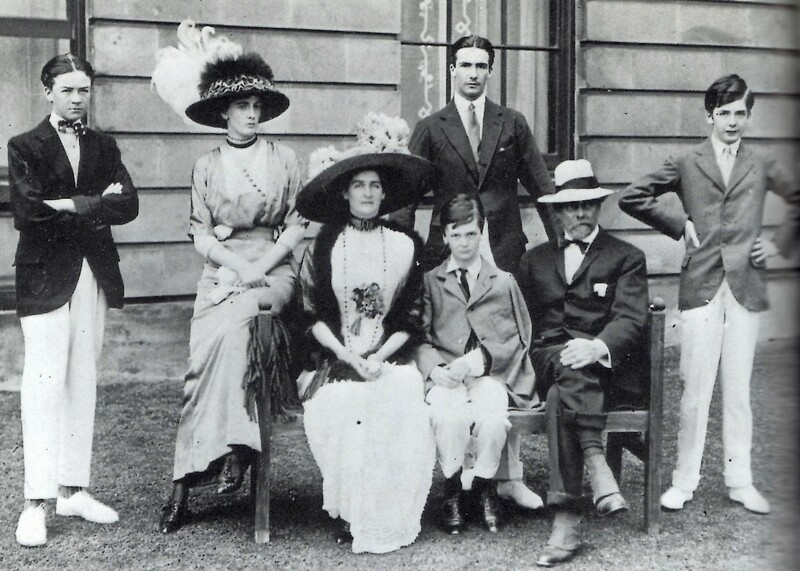 In April 1909, Marjorie married Leopold Guy Francis Maynard Greville commonly called Lord Brooke. Lieutenant Jack Eden was serving in South Africa with the 12th Lancers between October 1910 and January 1913. In 1911, only Sir William and Lady Sybil were at Windlestone Hall, presumably the children were at various educational establishments. Marjorie Brooke lived at Grosvenor Square, London with her husband Lord Brook, their 1-month old son Guy and servants. The 1911 census records William Nicholas Eden with Adelaide Helen Broomhead [recorded as companion secretary] as visitors to Ripley House, Bexhill-on-Sea, the guest of Mary Cecelia Payne. Miss Broomhead, nicknamed “Doodles” was the governess, a small, quiet, blonde lady who Anthony and Nicholas soon learnt could be firm. She remained at Windlestone for 30 years, being engaged as the Quartermaster when the house became a VA Hospital. Nicholas Eden was educated at Sandroyd Preparatory School, the Royal Naval Colleges at Osborne, Isle of Wight and Dartmouth, Devon. During the summer of 1914, Jack Eden was stationed at Norwich with the 12th Lancers, Timothy was in Germany perfecting his language skills with the intention of joining the Diplomatic Service, [later to be interned at Ruhleben, Germany],  Anthony was at Eton College participating in the Officer Training Corps and the youngest brother Nicholas was a R.N. cadet leaving Osborne for Dartmouth. 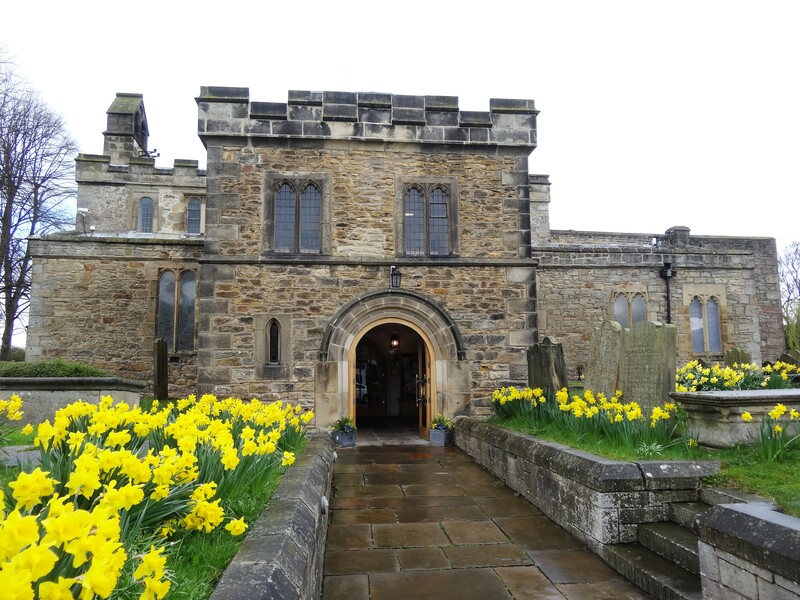 Their uncle [being his mother’s brother], Robin Grey was a pilot in the Royal Flying Corps. Their sister Marjorie, married to Guy Brooke [Warwickshire Royal Horse Artillery] and she would join “ a hospital train in France”. Lady Sybil was to offer Windlestone Hall for use as a VA Hospital and convalescent home for wounded soldiers,  the 19th Durham Voluntary Aid Hospital where she would take the position as Commandant and Matron from 26 May 1915 [presumably until about May 1919]. She was awarded the OBE in recognition of her efforts. Lieutenant John (Jack) Eden, 12th (Prince of Wales’s Royal) Lancers was killed in action 17 October 1914 and is buried at Larch Wood (Railway Crossing) Cemetery. Ypres. He was 26 years old. Brother Tim was to be repatriated in 1916  and inherited the baronetcy. After the war, Anthony Eden entered politics, being an influential Conservative politician who served as Prime Minister of Great Britain from 1955 to 1957. On 31 May 1916, the 2nd Battle Cruiser Squadron [BCS] consisted of New Zealand [flagship of Rear-Admiral William Pakenham] and Indefatigable. 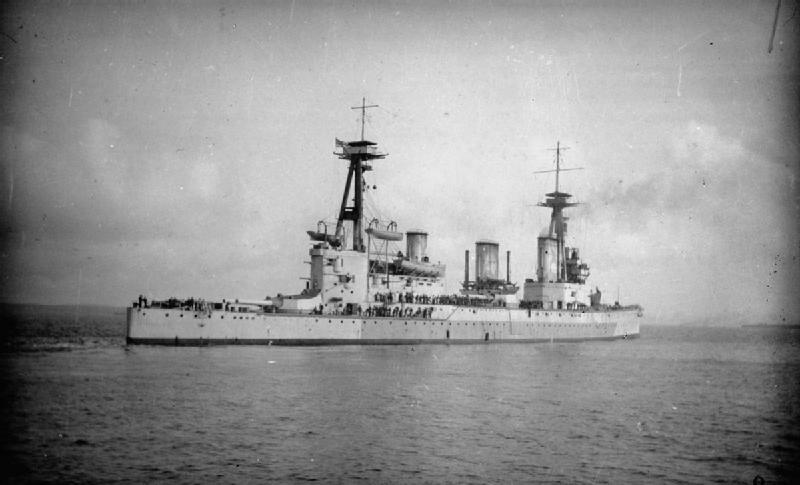 The squadron was assigned to Admiral Beatty’s Battlecruiser Fleet which had put to sea to intercept a sortie by the High Seas Fleet into the North Sea. The British were able to decode the German radio messages and left their bases before the Germans put to sea. At 3.20pm, Admiral Fritz von Hipper’s battlecruisers spotted the Battle Cruiser Fleet to their west. Beatty’s ships did not spot the Germans to their east until 3.30pm. Two minutes later, he ordered a change of course to the south east to position himself astride the German’s line of retreat and his ship’s crews were called to action stations. Orders were given to 2nd BCS to fall in astern of 1st BCS. Hipper ordered his hips to turn to starboard, away from the British to assume a south-easterly course and to reduce speed to allow 3 light cruisers on the 2nd Scouting Group to catch up. With his turn, Hipper was falling back on the High Seas Fleet, then about 60 miles behind him. Beatty altered course to the east as it was apparent that he was too far north to cut off Hipper. This began what was called the “Run to the South” as Beatty changed course to steer east south-east at 3.45, paralleling Hipper’s course now that the range closed to under 18,000 yards. At 3.48, the Germans opened fire, followed by the British. The British ships were still in the process of making their turn as only the 2 leading ships, Lion and Princess Royal had steadied on their course when the Germans opened fire. The British ships were echeloned to the right with Indefatigable in the rear and furthest to the west and New Zealand ahead of her and slightly further east. The German fire was accurate from the beginning but the British overestimated the range as the German ships blended onto the haze. Indefatigable aimed at Von der Tann and New Zealand targeted Moltke while remaining unengaged herself. By 3.54, the range was down to 12,900 yards and Beatty ordered a course change 2 points to starboard to open up the range at 3.57. At about 4.00, Indefatigable was hit around the rear turret by 2 or 3 shells from Von der Tann. She fell out of formation to starboard and started sinking towards the stern and listing to port. At 4.03, her magazines exploded after more hits, 1 on the forecastle and another on the forward turret. Smoke and flames gushed from the forward part of the ship and large pieces were thrown 200 feet into the air. The most likely cause of her loss was a deflagration or low order explosion in X magazine that blew out her bottom and severed the steering control shafts, followed by the explosion of her forward magazines from the second volley. Of her crew of 1,019 only 2 survived. While in the water, 2 survivors found Indefatigable’s captain, C.F. Sowerby who was badly wounded and died before they could be rescued. The 2 survivors, Able Seaman F.A.G. Elliott and Leading Signalman C. Farmer were rescued by the German torpedo boat S16. A3rd survivor, Signalman J. Bowyer was picked up by another unknown German ship. He was incorrectly reported as a crew member from HMS Nester in The Times on 24 June 1916. Formal telegrams and letters followed including one from the King. Lady Eden was distraught at the news. 44,000 Royal Navy personnel from the British Empire died during the First World War, the majority at sea. The Naval Memorials Committee chose the 3 manning ports of Plymouth, Portsmouth and Chatham for the locations of the memorials. 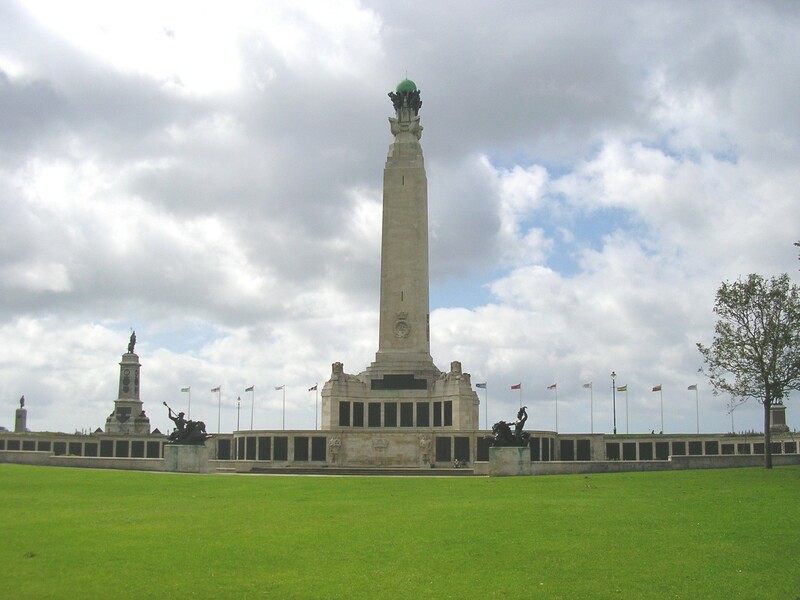 The Plymouth Memorial commemorates 7,251 Royal Navy servicemen who were lost in WW1. 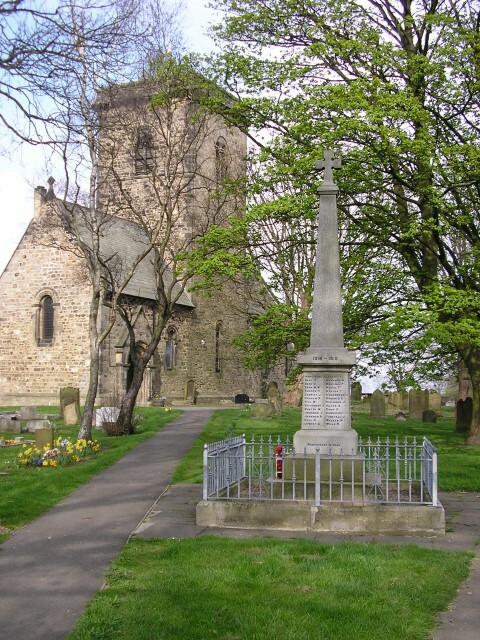 The memorial located in the Church of St. John the Evangelist churchyard, unveiled 23rd July 1921 by Sir Timothy Eden Bart. of Windlestone Hall, dedicated by Rev. 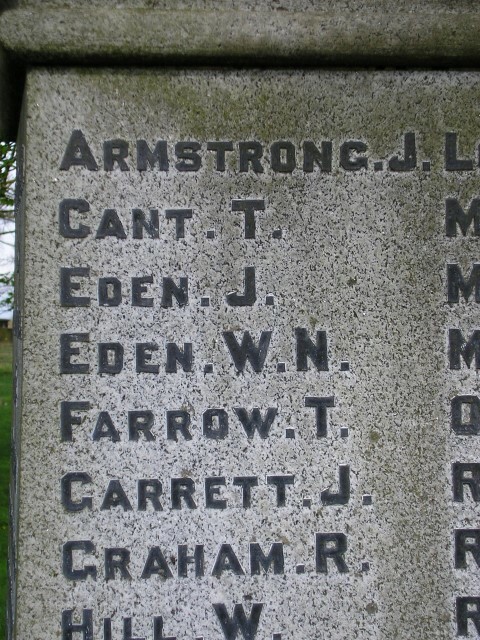 J. Duncan contains the names of 28 men who fell in the Great War including J. Eden and W.N. Eden. Sir Timothy, was of course the brother of Jack and Nicholas Eden.